Questions about the Dized business model are quite common from both players and the industry operators. This post aims to answer those questions by explaining what the Dized business model is and why the current model has been developed. Before we go any further though it’s important to mention regarding Rules on Dized: they’re free. Publishers can create and publish the rules for free, and players can use rules for free. Dized will generate revenue mainly through a Platform Fee, which comes from the sales of digital content. On top of this, Dized will have other revenue channels including advertising and additional services for industry operators, but on this post we’ll focus on the Platform Fee. The Dized Platform Fee is paid by the publishers. 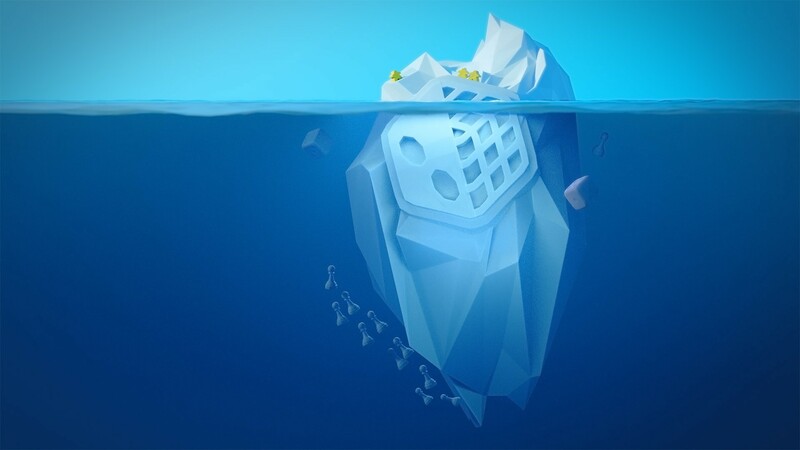 When a player purchases digital content on the app, Dized keeps a commission on the sales as a platform fee and the rest goes to the publishers. Exactly like the app stores do. However, in case a publisher wants to offer some or all downloads for free, Dized charges a small sum per download as the platform fee from the publisher instead, and in this case the player gets a free download. This means that every time content is downloaded, Dized makes a little bit of revenue as a Platform Fee, charged to the publisher. Dized Platform Fee is charged to the publisher either as a sales commission for paid content, or flat fee per download for free content. Why wouldn’t publishers offer all the content for free? They can of course, but it should be remembered that someone has to create the content and it costs money. Publishers are spending resources to offer additional content and it’s natural that there’s a price for it. This can be compared to physical game expansions, which also have a price tag. And as stated above, publishers CAN offer the digital content on Dized for free, when they choose to. Let’s use a game Tutorial as an example: the publisher can decide to offer a free download of the Tutorial for everyone who buys a new copy of the game. This is done with one time use codes found in new copies of the game. When the code is used, Dized charges a flat fee to the publisher. Now, if a player gets the game by other means and wants to learn the game with the Tutorial, they would buy it on Dized. In this case, Dized charges a commission of that sale as the Platform Fee. Publishers’ core business is creating and selling games (read: content). Anything that takes publishers away from that focus doesn’t help them with their business. Players are getting more and more comfortable with using digital tools to make their tabletop game hobby better, and Dized aims to help publishers offer content on the digital space as well. Dized allows publishers to focus on the important. 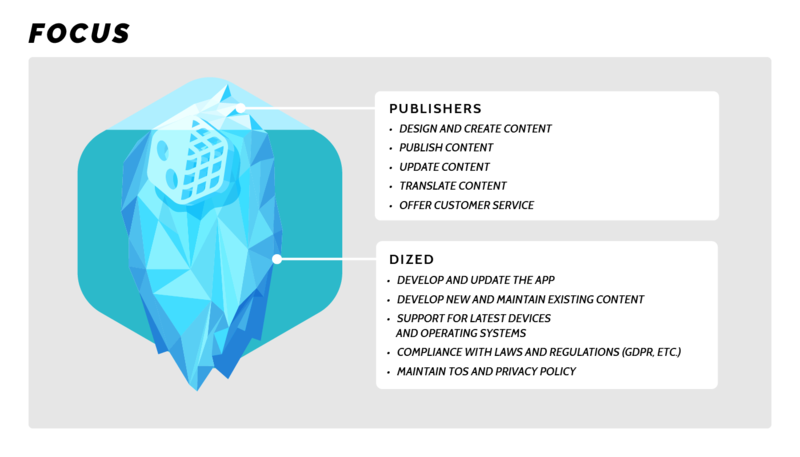 The Platform Fee Dized charges covers a lot of things: the usage of the Dized Content Creation Tools, publishing content, digital distributing and further development of the platform. Dized focuses on ensuring that the content offered by the publishers works on the latest devices and with the latest operating systems. This allows publishers to focus on their core business: offering content to their customers. The Dized business model is based on hundreds of discussions with industry operators and players. The players decide what content they deem to be worth paying for, and the Platform Fee is tied to the success the publisher has with their content. In other words, it’s fair for everyone and scales well. It is of course possible that our business model may develop as time passes and demands change. Any future tweaks or changes in the future would only be done in order to achieve this simple goal: Making tabletop gaming better for everyone!